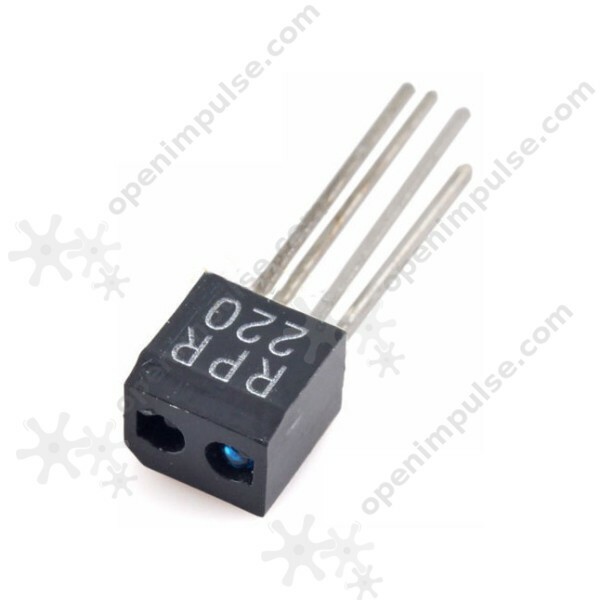 The RPR220 infrared reflective sensor is a highly sensitive sensor which is commonly used in compact disk players, copiers, and office automation equipment. The RPR220 is a reflective photosensor which uses infrared light to detect the color and distance of the reflecting surface. The plastic lens enable the detector to be highly sensitive which makes it very useful in compact disk players, copiers, and office automation equipment.